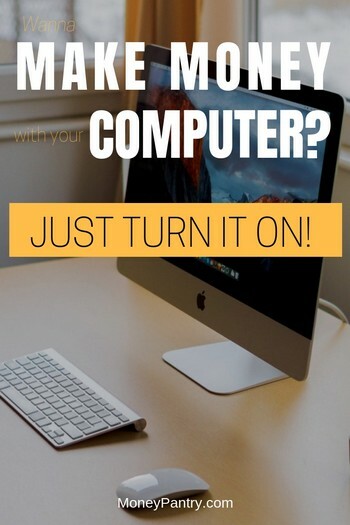 4 Ways to Make Money with Your Computer by Just Turning It On! Crazy as it may sound, you can actually use your computer or laptop to make money without doing anything! I am not talking about earning money playing computer games! And no, recycling your old computer, although a great option for getting some cash for an old and unused PC, is not what I am talking about here, either. I’m talking about making money with your computer’s power. Basically, all you have to do is turn your PC on and walk away! Essentially you’ll use the processing power of your computer to make money at home for free by selling the processing power of it in a safe and reliable way. With the power of your home computer and internet connection, there are a range of software options you can employ to turn your computer into a money making machine. Here are the best companies you can sell computer processing power to. Update: Last time I checked, it seems like they were having some technical issues with their website. I tried logging and it gave me an error about not being able to reach the site. If you see the same problem, just bookmark this post or their website and keep checking back. I am sure they’ll have fixed soon. Using software created by companies like Slicify, you are able to set up a partitioned Linux Virtual Machine on your home PC. This means that other people can run software on your computer, without having access to any of your personal information, programs or files. 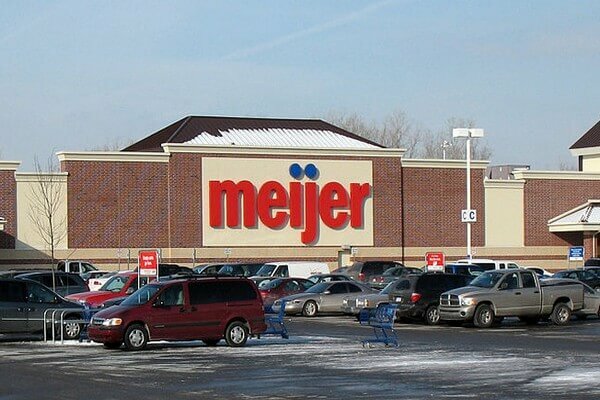 It is essentially a small-scale version of what large companies like Amazon or are doing when they rent out their servers to other businesses. It is known as Distributed Computing. When you use this software, you are listed on a secure pool where buyers in need can see the details of what your computer can provide. If they want to make use of it, they simply select your computer and pay to use it by the house, bringing in money with zero effort from you. As more and more business moved online, many businesses find themselves needing extra storage space, servers, or other support. On a large scale, companies like Amazon add billions to their revenue by sharing their computing power with companies from a range of industries, including finance, science, engineering, and more. Do I have to do any work? After installing the software, all you need to do is turn on your PC. If your computer is on and has an internet connection, the software will ensure that everything else runs smoothly. If any problems occur, there is an impressive customer support and FAQ available for users that should guide you through any problems. Software like Slicify exists so you can undertake this process securely. It ensures that your private information remains private and that nothing harmful can be installed or accessed. Using tools to complement your firewall, you can be sure no one can see your personal files. Any traffic that goes through your computer goes through Slicify first, making sure every access is secure. Currently, Slicify uses PayPal to conduct payouts, so you will need to simply set up an account to get paid. Whenever your machine is rented, you are paid by the hour. If you make referrals to other people, you can also make referral bonuses from the work done on their computers. Larger companies using this process currently charge between $0.02 to $4.60 per hour depending on the need and capacity of the PC. For home computers, you can earn between $0.10 and $0.40 per hour, depending on the provider and service. You have a chance of making more on Slicify because bidders can compete for your PC. That said, the amount of money you can earn is really not much. But then again, you aren’t doing anything either. You just turn on your computer in the mooring (or whenever you like) and go about your daily routine. Your computer’s power does all the work and collects you a few dollars a day. All payments will be made through PayPal, and getting others to participate means you make money even more quickly. You can find out more specifically how much your PC is worth by using the Calculator on Slicify. Gomez PEER is one of the most popular distributed computing company for home users. Simply download the software you need from the site and instantly begin making use of your computer’s power immediately. There are over 150 000 computers on this service and actively making money. The sign up is free, and you can help companies grow while making your own money. Gomez PEER is not the only service available for this option. There are also many other paid distributed computing projects. There are other well-known and trusted networks you can join to get paid for distributed computing as well. One of the best ones being MQL 5. Think of the amount of time your PC sits in your home office without being used – you can turn that time into a period that your computer makes you money. Sell your computer’s CPU time to members of MQL 5 who use the additional power for analyzing data or developing new math models. Just like the other tools discussed, Digital Generation requires you to simply install software and allow it to run. The software runs in the background of your programs without impacting your computer’s performance. Each of the services discussed above has been used popularly by thousands of people to make extra money easily. 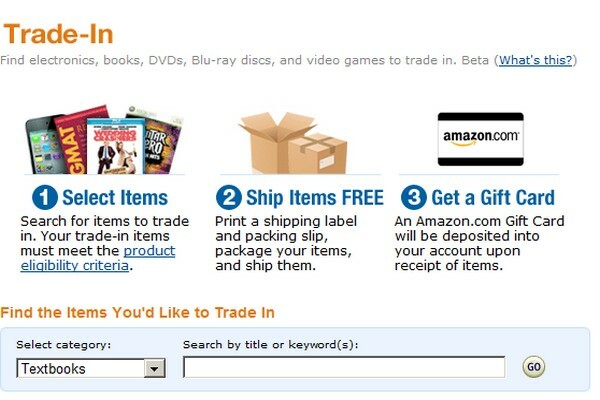 While you won’t make a living selling your laptop or computer’s processing power, you can indeed use it as an easy side hustle that let you earn a few free gift cards here and there. And the best part is that it won’t affect how you use your computer or laptop. You go on about your daily life as usual. The software runs quietly in the background earning you extra money. So the next time you are thinking “I need money, how can I get it“, try one of these sites and make money with your computer from home and for free by selling the unused power of your PC. Nothing noticeable really. They just work quietly in the background. Now if your computer is old and already runs slow, adding more software to it can slow it down even more. Can we use multiple softwares at the same time? Have you made any money with any of these services? Is so, can you provide some detail on the income you have earned? I haven’t personally done these lately. I did work with Gomez Peer a few years back. I don’t remember exactly how much I made. Either way, the money isn’t much, but the fact that it is very easy money, makes it worth while. All you have to do is install the software and then you go about your day as usual. There is literally no work involved, so even though the amount you make is not much, because there is no work involved, it is worth it. Is it still profitable after counting the electricity cost? I wouldn’t call it “profitable”, but yes, you can come out ahead. No worthy. You will pay more for electricity it’s just a simple calculation.